Stock up on Special K Cereal! 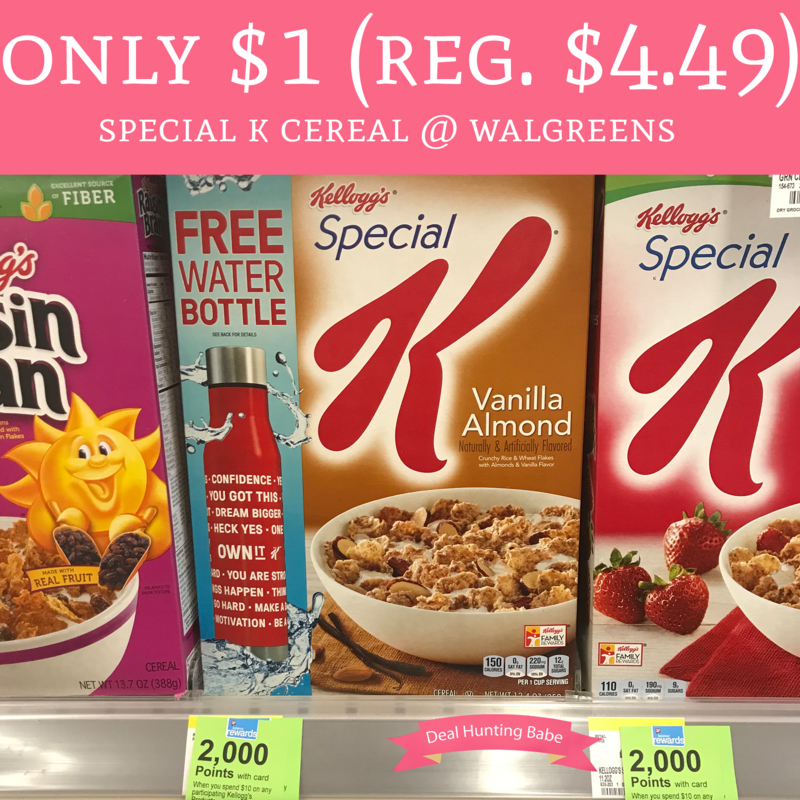 If you are needing to stock up on cereal head to Walgreens this week and grab a nice deal on Special K! It is on sale for 2/$4 and you can stack in store sale price with $3/5 Kellogg’s printable coupon! Plus, you will earn 2,000 Balance Reward Points (like $2) to make each box just $1! Time to stock up!